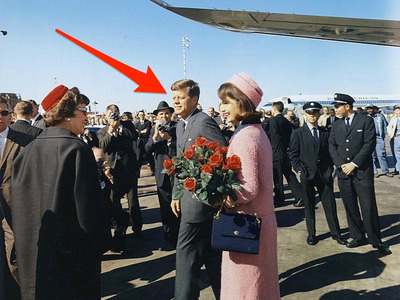 Wikimedia CommonsDid Nostradamus really predict JFK’s assassination? • Nostradamus published a book in 1555 containing 942 quatrains that allegedly predict famous future events. • Observers have come across a handful of predictions that due seem to reflect real world events. • In reality, most of Nostradamus’ prophecies are poorly translated – and vaguely worded enough to encourage tons of speculation. Nostradamus’ name is basically synonymous with predicting the future. The alleged oracle began publishing his famous, cryptic quatrains in 1555. But these were no ordinary poems. Nostradamus was allegedly a diviner who was able predict future tidings. 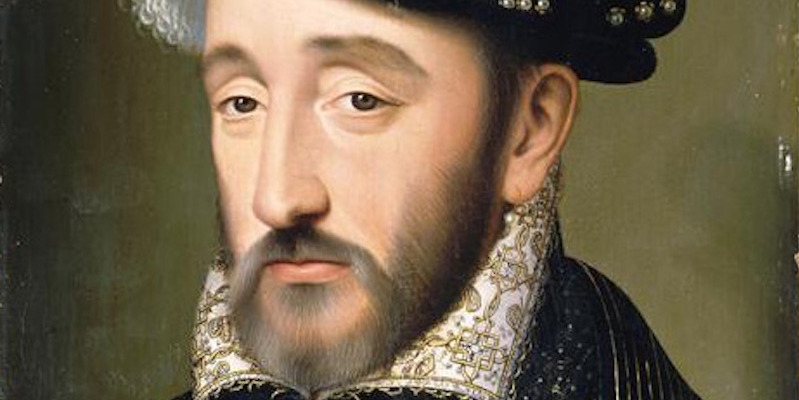 The 16th century apothecary and astrologer’s status as a reputed “seer” allowed him to solicit patronage from wealthy and prominent individuals like Catherine de’ Medici, the queen of France. Nostradamus’ star didn’t fade after his death in 1566. His works have continued to attract adherents who have connected his writings to earth-shattering events like the rise of Adolf Hitler and the 9/11 attacks. But, like horoscopes, the predictions themselves tend to be vaguely worded, and therefore open to the reader’s interpretations and biases. In “Nostradamus, Bibliomancer: The Man, the Myth, the Truth,” biographer Peter Lemesurier concludes that Nostradamus “believed that history repeats itself” and used the technique of projecting past events onto the future in order to make realistic-sounding claims. What’s more, scholars have argued the modern translations of Nostradamus’ writing are sloppy and unreliable. In the summer of 1559 King Henry II of France (older one) lined up to joust Gabriel, Comte de Montgomery, (young lion), who was six years his junior. The tournament was held to celebrate the upcoming wedding of the king’s daughter. But splinters from the lance had entered the king’s eye, throat, and temple (two wounds made one). Despite the best efforts of royal surgeons, Henry II experienced agonizing pain, seizures, and partial paralysis (then he dies a cruel death) before dying in his bed 11 days later. It all sounds pretty accurate, on the surface. But, according to “Nostradamus: The Illustrated Prophecies,” the prophecy’s veracity is in doubt because it didn’t appear in print until 1614. 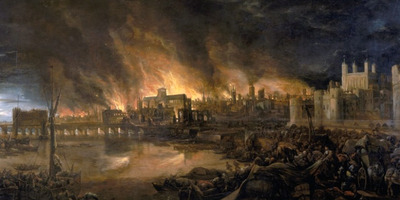 What happened: This quatrain is often linked with the devastating Great Fire of London. In regards to the date, 20 times three is 60. Add six to that, and you’ve got 66 – or the year ’66. London’s infamous three-day blaze began on September 2, 1666. The fire wasn’t set off by lightning, however. A hot, arid summer and a spark in the bakery of Thomas Farriner on Pudding Lane set the stage for the inferno. Peasant and middle class deaths were not recorded at the time,according to the Smithsonian Magazine, but it’s likely that hundreds or even thousands of people perished in the flames. In regards to the “same sect” portion of the quatrain, Londoners blamed the conflagration on Catholics and the Dutch, and a number of lynchings and attacks ensued as the city smoldered, the BBC reported. But the members of the “same sect” are also mentioned in conjunction with “the ancient lady,” which could be interpreted to refer to London itself. This prediction is one of the weaker prophecies, as it’s often quite a stretch to link the historical events of the Great Fire of London with Nostradamus’ words. From the enslaved populace, songs, Chants and demands While princes and lords are held captive in prisons. These will in the future by headless idiots Be received as divine prayers. 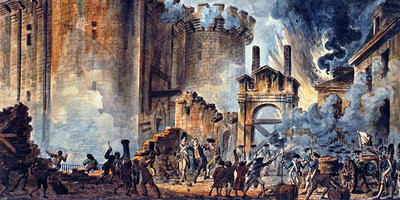 What happened: Starting with the storming of the Bastille in 1789, the French Revolution saw the overthrowal of the monarchy and the establishment of a new republic. The Third Estate (enslaved populace) took control of Paris and forced their demands on royalty (princes and lords). Ultimately, the revolution turned bloody. Nobles and commoners alike were declared traitors to the revolution and beheaded at the guillotine (headless idiots). According to Britannica, 17,000 people were executed during the ensuing Reign of Terror, while 10,000 died in jail. Those figures account for all victims of the First French Republic, not just aristocrats. The lost thing is discovered, hidden for many centuries. Pastor will be celebrated almost as a God-like figure. This is when the moon completes her great cycle, But by other rumours he shall be dishonored. 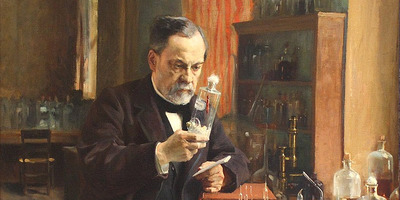 Louis Pasteur (Pastor will be celebrated) is credited with discovering microbial decay (lost thing is discovered, hidden for many centuries). 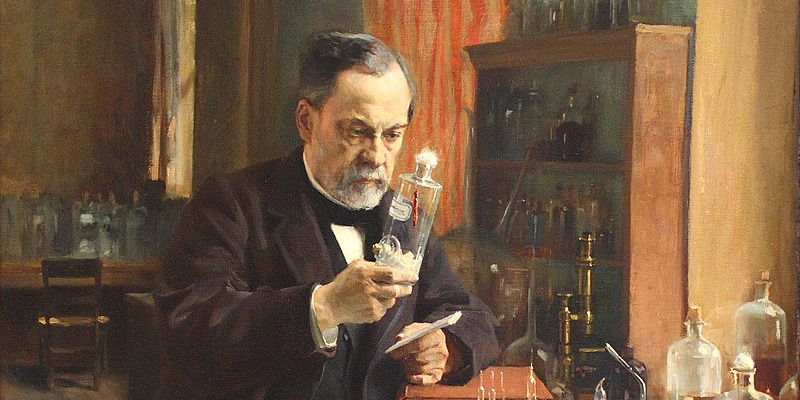 His breakthrough is credited with saving countless lives over the course of history. 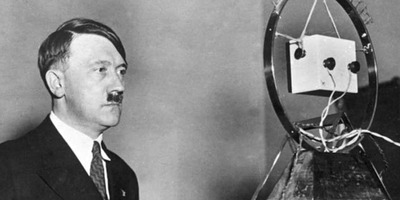 What happened: On April 20, 1889 Adolf Hitler was born in Austria, which is in Western Europe. But his family was middle class, not impoverished. Hitler did rise to power in part due to his oratory abilities (by his tongue will seduce), and did initiate WWII (a great troop) by invading Poland. Some Nostradamus supporters have posited that Hister is a mispelling of Hitler, but it’s actually the Latin term for the Danube. First monarch, renowned above all. 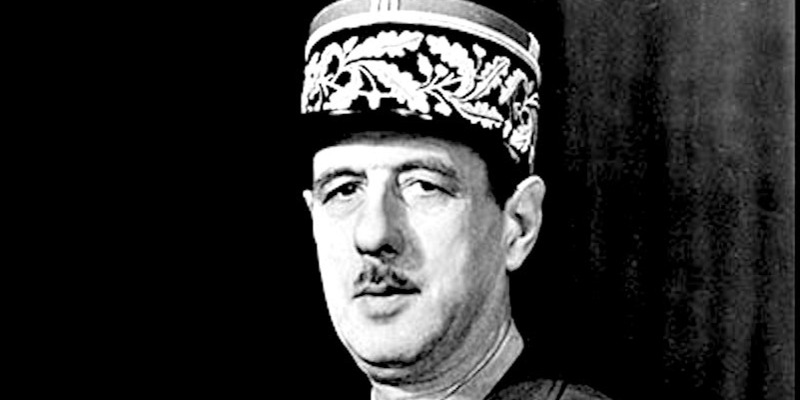 What happened: Charles de Gaulle was a three time leader of France (chief of triple Gaul). 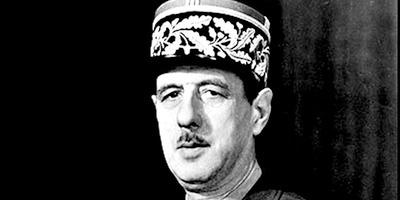 First, De Gaulle led the Free French Forces during WWII. Then, he became prime minister of the provisional post-WWII government. Lastly, De Gaulle was the first president of the French Fifth Republic. Other than that, this quatrain appears to have little else to do with the famous French politician. Near the gates and within two cities There will be scourges the like of which was never seen, Famine within plague, people put out by steel, Crying to the great immortal God for relief. What happened: In early August 1945 the United States dropped two atomic weapons on the island of Japan, on Hiroshima and Nagasaki (within two cities). The cities were devastated, and many survivors of the blast suffered from radiation poisoning (crying to the great immortal God for relief). In the wake of the war, Japan also went through a food shortage crisis(famine within plague). GettyAn exhibit at the Newseum in Washington dedicated to John F. Kennedy. The great man will be struck down in the day by a thunderbolt, An evil deed foretold by the bearer of a petition. According to the prediction, another falls at night time. Conflict at Reims, London and a pestilence in Tuscany. What happened: President John Kennedy (great man) received numerous death threats(petition) over the course of his presidency. While visiting Dallas on November 22, 1963, the president was gunned down (thunderbolt). The assassination shocked and devastated the nation. His brother Bobby Kennedy was later assassinated just after midnight on June 5, 1968 (another falls at night time). The conflict in Reims and London and sickness in Tuscany, however, doesn’t fit in with the assassination of the Kennedys. What happened: On the morning of September 11, 2001, the two towers (two great rocks) of the World Trade Center in New York City (New City) collapsed after al-Qaeda terrorists crashed hijacked passenger planes into the buildings. Nostradamus’ prediction about “fire from the center of the Earth” doesn’t connect with anything pertaining to 9/11. Robert Johnson wrote a previous version of this article.